Three years after the factory collapse in Bangladesh, a Canadian court is hearing a case that could award the victims up to $2 billion in damages. Three years after the Rana Plaza factory collapsed on the outskirts of Dhaka, the lives that were shattered have still not been allowed to heal. Since the day more than 1,100 people were buried in the wreckage of the shoddily constructed manufacturing complex, we are just starting to discover among the ruins what global worker justice should look like. For victims, there has been halting progress, according to International Labor Rights Forum (ILRF). A $30 million donor trust fund has issued several thousand payments to survivors and households of the deceased, ranging from about $1,340 for an injured survivor to 10 times that amount for families of the deceased. Other aid funds, such as one established by the multinational Primark, have been established independently to provide long-term medical aid. Overall, however, advocates report that, while global media attention has waned, the suffering has not, as survivors and their communities remain impoverished and wracked with emotional trauma. Bangladesh’s massive garment-export industry, however, is still going strong, fueled by a $1.3 trillion global market capitalizing on “fast fashion” trends, and a constantly churning workforce of young rural migrant women. But a few survivors are resisting business as usual. A lawsuit against Canadian multinational retailer Loblaws and its auditing firm, Bureau Veritas, is moving forward in the coming months, seeking some $2 billion in damages to compensate as many as 3,850 victims of the collapse—a group of plaintiffs gathered through the firm’s field research in Bangladesh. The suit, now awaiting class certification in an Ontario court, marks one of the first legal actions against a multinational retailer accused of contributing to tragedy at the far end of its supply chain. The suit holds Loblaws partially responsible for “wrongful death and injury arising from the negligence” of safety conditions, charges the retailer with “breach of fiduciary duty,” and attributes to Loblaws indirect liability for workers employed by its subcontractor New Wave, which produced clothes under the Joe Fresh brand. Meanwhile, the complaint contends, Loblaws violated its own voluntary corporate social-responsibility code, which promised consumers humane, safe factory conditions. Critics say its designated auditing firm, Bureau Veritas, operated as a rubber stamp for corporate agendas. At the time of the collapse, even ordinary workers understood the hazards. A young former New Wave sewing-machine worker, Rehana Khatun, testified in the complaint that she and coworkers had gathered in fear at the factory entrance, wary of entering after cracks had been spotted in the building’s wall. But her shop was busy churning out 24,000 pairs of Joe Fresh boys’ pants.“The production manager from New Wave ordered me to enter the building and resume work,” she recalled. To avoid losing her job, she entered and soon found herself buried under rubble. Her mangled body was extracted many hours later. Rejecting the claims, Loblaws contends the Canadian courts lacked jurisdiction to review the case, suggesting that the most appropriate system to try such a case would be Bangladesh. Still, whether or not these plaintiffs see justice in Canada, they represent a tiny fraction of the workforce that remains vulnerable to future Rana Plazas. The major set of reforms aimed at preventing future factory disasters, known as the Bangladesh Accord, was an unprecedented global collaboration of multinationals, labor groups, and safety authorities. Though it covers just a portion of Bangladesh’s garment sector, the accord provides a legally binding monitoring program and an organized process for renovating unsafe factories. The program’s management recently reported that over half of “all identified safety issues [have been] reported or verified as corrected” by inspectors. Nonetheless, of more than 1,600 facilities inspected, just seven factories have actually completed initial remediation plans; nearly 1,400 are behind schedule. Financing for future remediation is uncertain, especially as the program is scheduled to end in 2018. 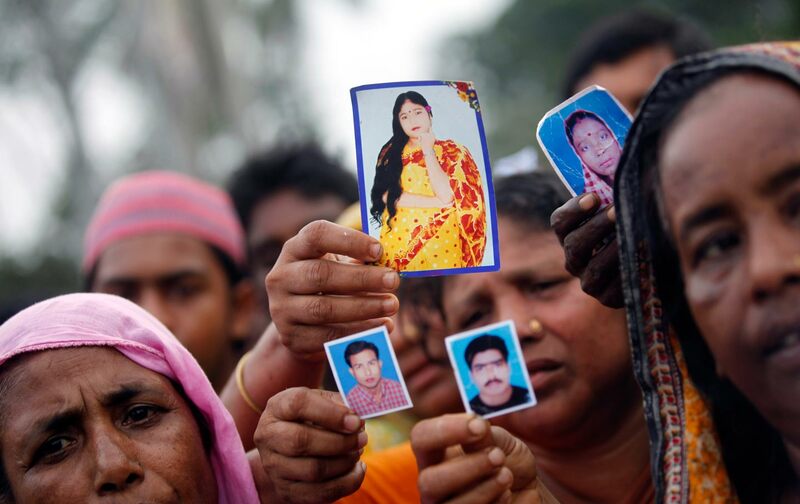 By then, will the world still remember Rana Plaza? Real freedom of association cannot be secured amid profound social disenfranchisement, and so the cycle of poverty, neglect, and violence persists. The collapse of Rana Plaza jarred the global fashion business and offered a chance to remake the relationship between the state and industry. And workers are slowly forging a path for their movement out of the ruins. Yet with each day that passes without genuine legal recompense, their avenue toward justice grows narrower, from Dhaka’s streets to an Ontario courtroom, and back to the factory floor.